'16 Artists 16 Days': The Koppel Project Hive is proud to present its first studio artists exhibition showcasing the vibrancy of its community. 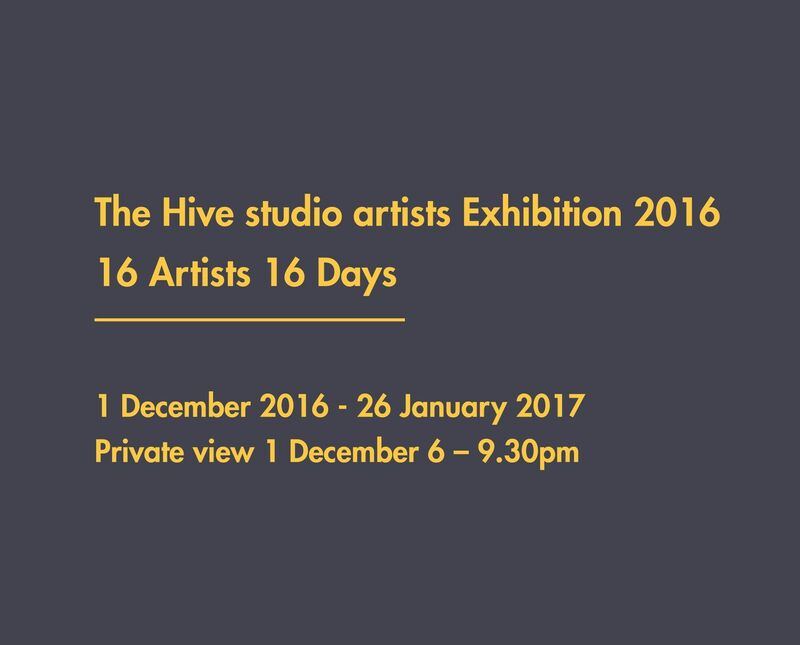 After opening the first studios in June 2016, The Hive is now providing workspace for a growing number of emerging and mid-career artists with varied practices. This rich artistic mix allows for daily creative interactions among the studio residents. 16 Artists 16 Days is an exhibition capturing both the individual and the community. As seen inside a natural Hive or organised structure, the individual elements come together to form a greater whole. Sixteen artists are exhibiting studio works in diverse media ranging from paintings, sculptures, collages, installations and photographs. Throughout the exhibition, each artist occupies the entire gallery space for one day to actively engage and participate with the public. Culminating from this multidisciplinary and internationally diverse group of artists, a wide range of free public events such as workshops, artist talks, performances and other artistic experimentations take place at the Koppel Project Hive. Please RSVP to alice@thekoppelproject.com to attend the events.